A giant hurricane in Saturn's atmosphere. 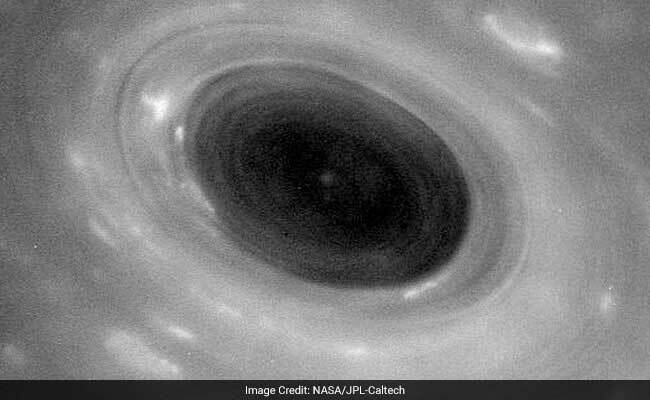 On Wednesday, the NASA space probe Cassini performed the first of 22 planned dives through the rings around the planet. No human-made object had ever ventured so far into those swirling bands of ice and dust particles. Cassini was traveling at speeds of 77,000 mph through regions thick with potentially destructive particles. It had to use its dish-shaped antenna as a shield, preventing any communication with Earth during the dive. All day, scientists anxiously awaited confirmation that their brave little space robot had made it through. 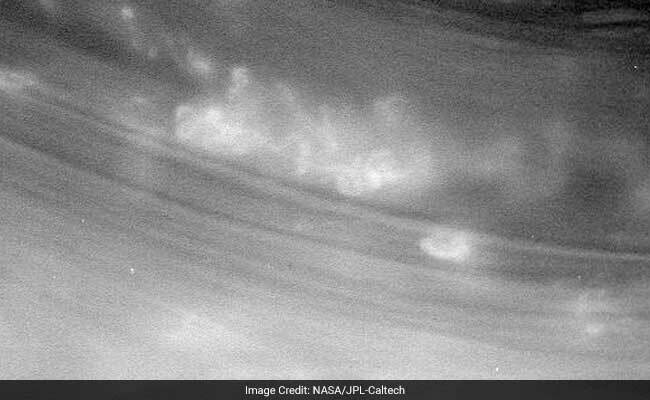 Cassini is giving NASA a closer look at Saturn's atmosphere. 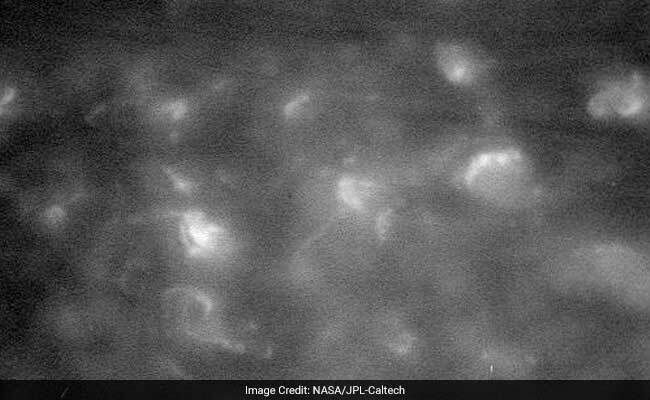 Just before midnight Pacific time, the Deep Space Network (a group of telescopes that communicate with distant objects in space) picked up Cassini's far-off signal. A massive cheer went up at ground control at the Jet Propulsion Laboratory in Pasadena, California, as data began streaming the billion miles back to Earth. Cassini had made it through the gap and emerged safely on the other side. In September, the spacecraft's last dive will have it plummeting straight into Saturn itself, and the probe will be lost forever. But until then, Cassini's "grand finale" promises to deliver some incredible images and some fascinating science. Video: After its final, dramatic orbits in the coming weeks, Cassini's mission will come to a close with a plunge into Saturn's atmosphere, which will destroy the spacecraft launched in 1997. MUST CREDIT: NASA, JPL-Caltech.